While I'm writing this it's Family Day in Ontario. That means a day off to spend at home with, ostensibly, your family. In our house, it means cleaning like mad. Very rarely do we have a day that has other demands, so we put it to good use. Or we try. Inevitably, it never is finished, but we try. What motivates me the most is to pop on some headphones, get some music going and just work. I read an article recently about how music is better (for enjoyment) than listening to a podcast. Mind you it was for exercise, outdoors... but I think it works here too. So today I'm trying out a new set of headphones from Tribit. The XFree Tunes. 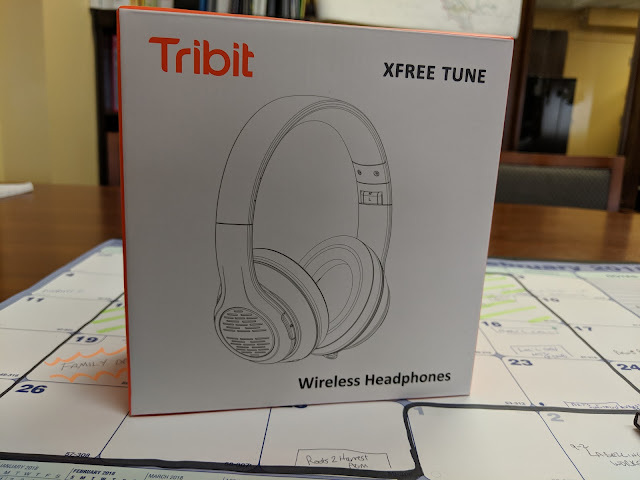 I've reviewed some of their earbuds before and been happy. Those earbuds are great for going to the gym. But if I'm a little more relaxed, not bouncing up and down, something with more substance is needed... something to drown out the complaints of my son while I remind him that he's been asked to pick up all books and stuffies for the nth time. 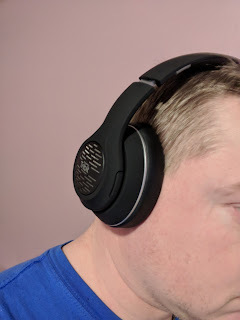 These do a good job. 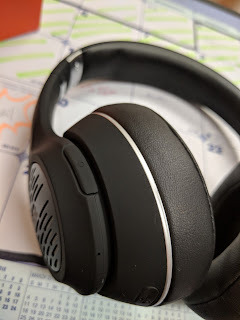 They are a bit pricier at $100USD on Amazon (they are currently listed as unavailable, and I can't find them on Amazon.ca either), but for a great sound they good. And listed on sale for $60USD on their own website, well worth it. I've had some experience ordering some items from some lesser known names on Amazon. Usually cheaper, and don't expect much out of them. It'll be funny to see companies reach out for a review and it's the exact same as another speaker as another brand, just a different label on the device. So my hopes weren't as high, but when I got the box and opened it up, first picking up the set there was a substantial heft to them. Not heavy, just you can tell that they've got some substance to them. The cushions feel nice and plush. Neat. Let's go over the rest. All controls are on the right speaker. There's the multifunction power/play/pause button on the 'front of the speaker. It really takes some getting used to figure out where it is when it's on your head. 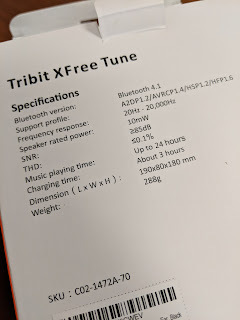 The volume +/- and skip/previous button is on the back of the same speaker. That takes even longer to get used to. First off, glad that the + allows to skip if you long press. I hate it how it's not a universal command. Anyways, they're a little harder to get used to. The position is a little hard to find, and the buttons are pretty flush with the 'rim' and your only indicator of where it is while fumbling around is the little divot that's the separator. The raised print of the +/- isn't really discernable. 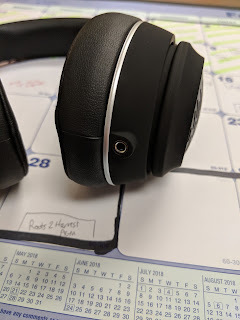 There's also a 1/8" headphone jack if you want to plug your phone into it... if you want to feel like a caveman, tethered to the device (I'm running around the house leaving my phone in the bedroom and I'm still good to be listening). Okay, I've got the controls down, pair it up to the phone and let's get this cleaning done. Holy smokes! Great sound. It's a little bass heavy, but it probably because I'm used to just earbuds lately. I throw a ton of different music at it (I don't have a generic 'cleaning mix', I just put all my music on shuffle, and I have a hugely varying eclectic taste). The trebles are definitely there... but the bass is powerful. It's not overpowering the trebles, just has a great amount of punch. 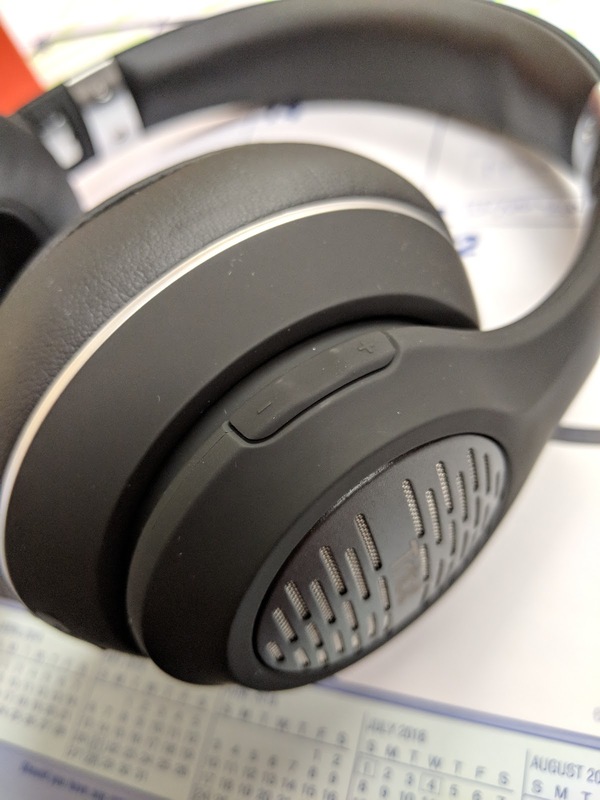 So sound is really great actually. But how is it while doing the dishes? Pretty comfortable actually. It's been about 2 hours now I've had them on this morning and there's been no fatigue on my ears and you really don't feel them there. Plus, at 2 hours of use I haven't seen the battery drop noticeably on it yet. They say it should last you about 24hrs of playback (I'm guessing the bigger the housing, the bigger the option for the battery). I doubt I'm going to get that long of playback in reality, nor will I really ever use it for that long continuously. I tend to use it for a couple hours and then plug it back in when I'm done. 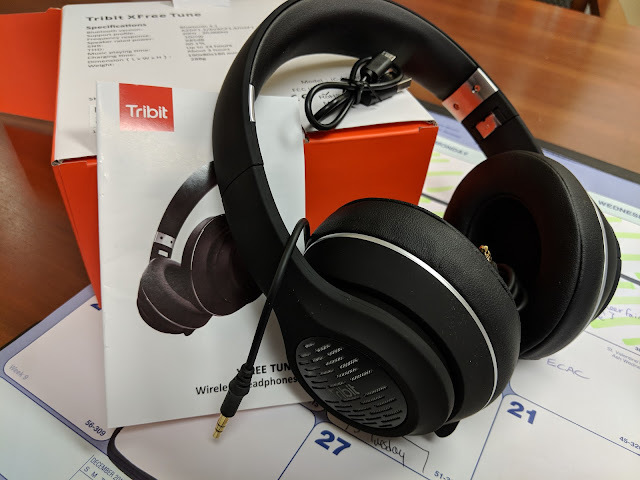 Overall, a great set of headphones. I should try them at the gym on the machines and see how it handles. Typically the over the ear types bounce a bit when I jog, but maybe with the little heavier style it should be fine?